What did we know about celiac disease in 1953? The truth is, we knew quite a bit about sensitivity to gluten 65 years ago when Matilda Babbitz’s son Bobby was diagnosed with celiac disease. A nurse by profession, Matilda carefully observed her baby and kept detailed records of his reactions to foods, working with doctors to determine an appropriate diet for Bobby. Today, the Gluten Free RN is sharing an article published in the March 1953 edition of the American Journal of Nursing written by Matilda herself. 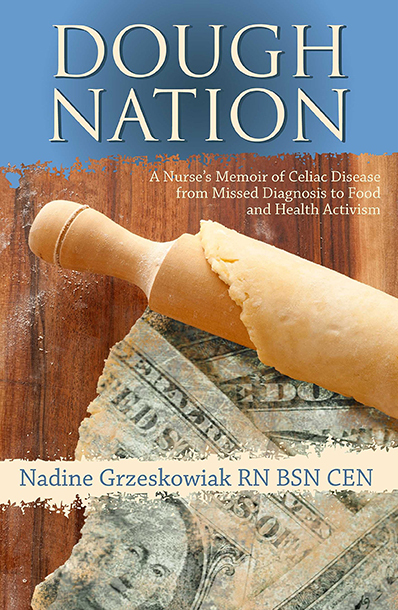 She covers how Bobby presented with celiac disease at six months of age and the dramatic change in his health and behavior after a diet change. Nadine discusses the systematic approach Bobby’s healthcare team took in creating a custom diet, the relationship between the baby’s irritability and his inability to digest food, and his growth and development before and after treatment. She also addresses the misunderstanding that children will ‘grow out of’ celiac disease, explaining that we’ve since learned patients must adhere to a 100% gluten-free diet for life. Listen in for insight around what we can learn from past case studies of celiac disease and understand what we already knew about celiac disease back when Eisenhower was president and Gentlemen Prefer Blondes was on the big screen!